US Secretary of State John Kerry told Syrian aid workers, hours after the Geneva peace talks fell apart, that the country should expect another three months of bombing that would “decimate” the opposition.During a conversation on the sidelines of this week’s Syria donor conference in London, sources say, Kerry blamed the Syrian opposition for leaving the talks and paving the way for a joint offensive by the Syrian government and Russia on Aleppo. “He said that basically, it was the opposition that didn’t want to negotiate and didn’t want a ceasefire, and they walked away,” the second of the aid workers told MEE in a separate conversation and also on the basis of anonymity. @Charles_Lister Story wrong. @JohnKerry didn’t blame oppo for collapse of talks, doesn’t have comms w/regime & hasn’t wavered on Asad. So while the State Department spokesperson denies that the U.S. blames the opposition, another part of the State Department does exactly that: “it’s not going to stop by walking away from the table or not engaging”. Kerry is clearly embarrassed that the Saudi opposition group ran away from the UN talks in Vienna. He should blame his “allies”. The Syrian opposition abruptly withdrew from peace talks in Geneva this week under pressure from Saudi Arabia and Turkey, two of the main backers of the rebels, according to diplomats and at least a half-dozen opposition figures. After sabotaging the talks the Saudis came out with an offer to send ground troops to invade Syria if the U.S. would take the command of such an operation. No one is taking that offer seriously. The Saudi troops who try to invade Yemen get beaten to pulp. The Saudis themselves say they had to closed 500 school and evacuate 12 villages with 7,000 people in Saudi Arabia because the Yemenis are now invading them. Their army has lots of expensive toys but is clearly not able to put them to use. The offer to send troops is simply to goad the U.S. into starting a war with Russia. That is not going to work. The U.S. is now trying to find some end to the conflict in Syria. 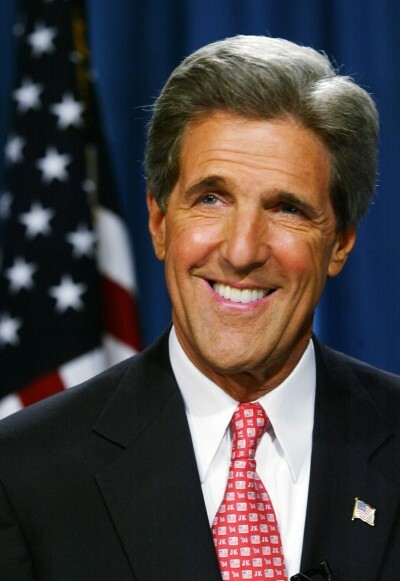 Someone finally told Kerry that Russia is not in a “quagmire” in Syria but is winning. The U.S. is in a hurry now as it knows that it will have zero influence left on the issue should the Syrian government and Russia have the time to kill off the opposition. It needs a ceasefire to stay relevant. As Kerry says himself that “whining” about the situation and skipping negotiations will not help the opposition. It will kill it.